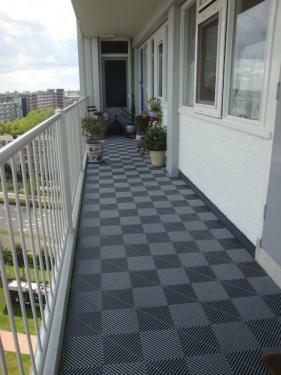 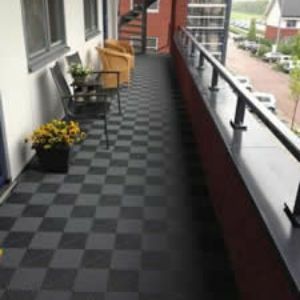 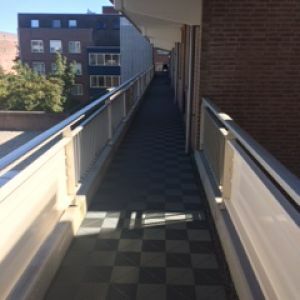 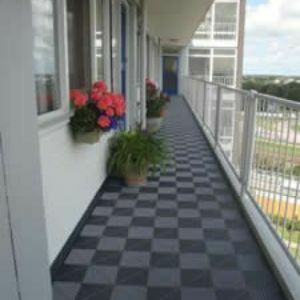 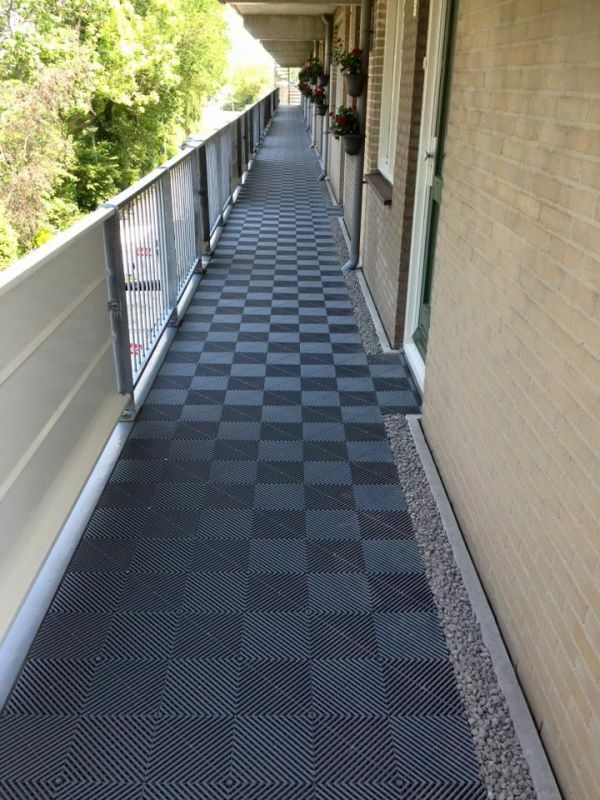 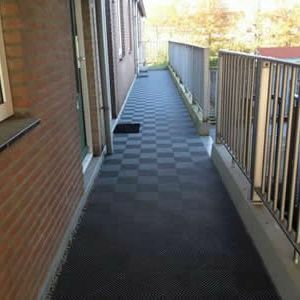 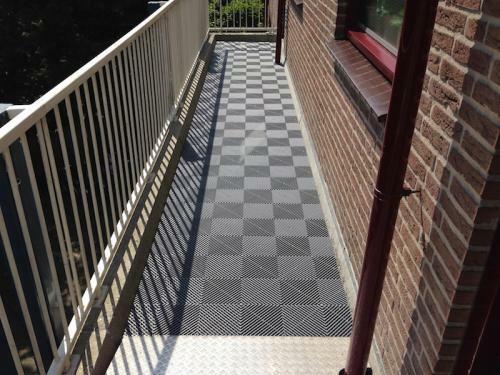 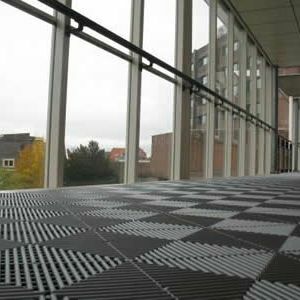 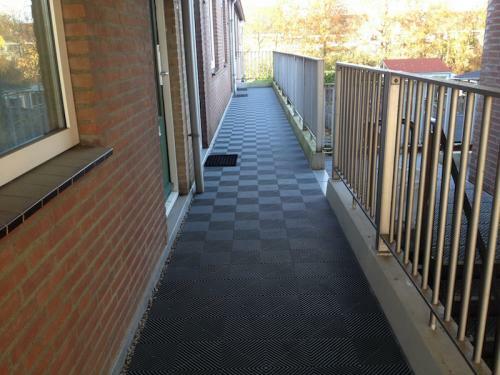 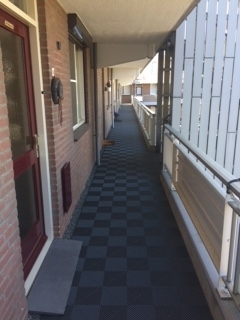 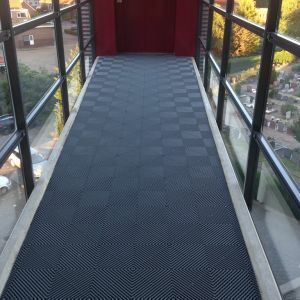 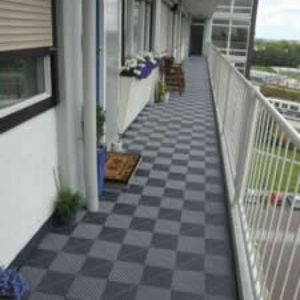 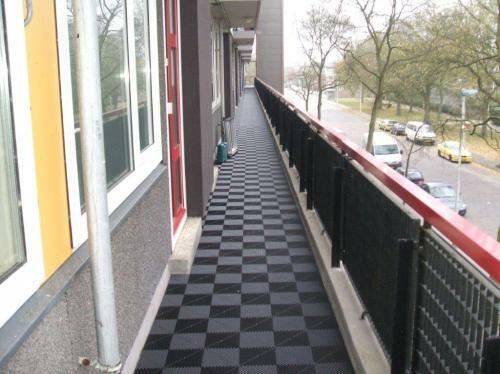 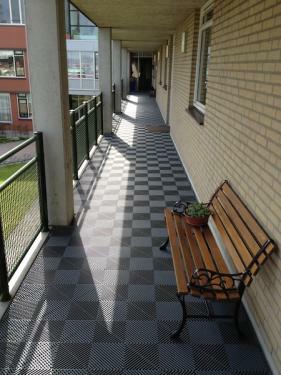 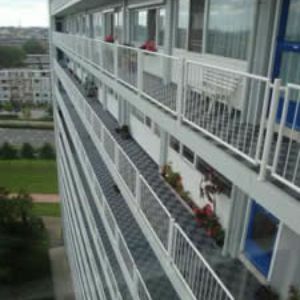 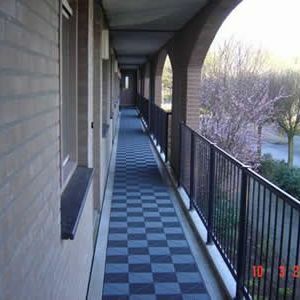 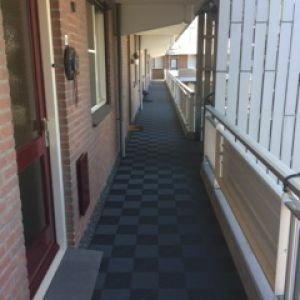 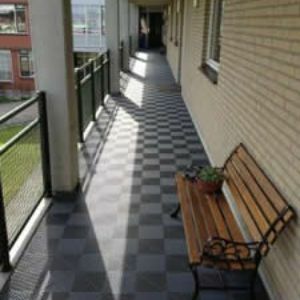 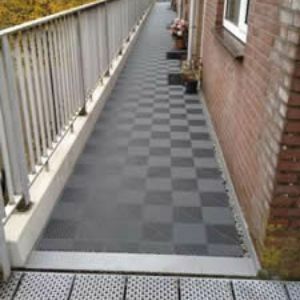 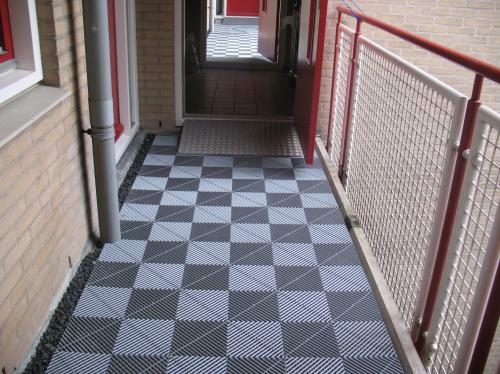 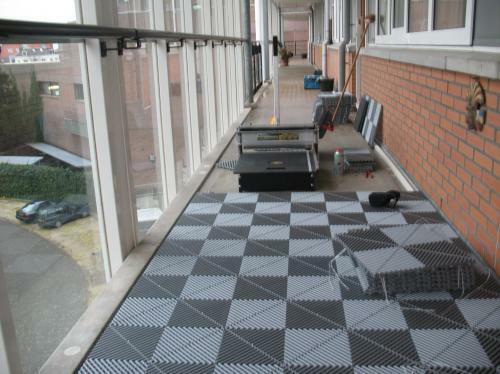 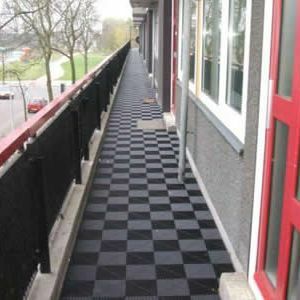 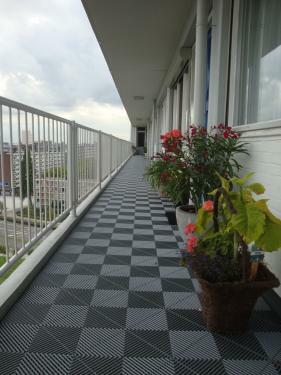 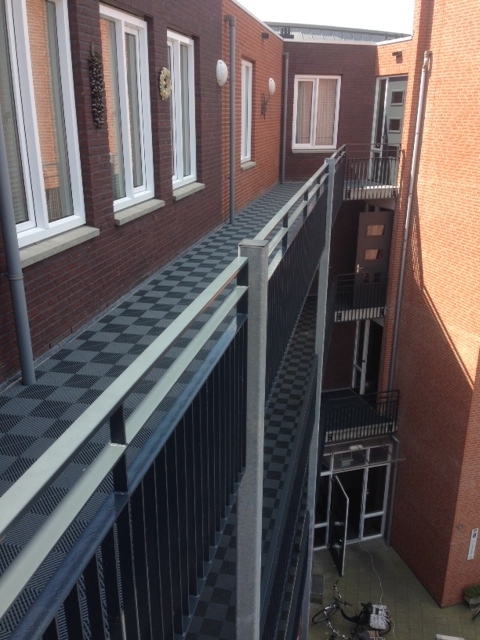 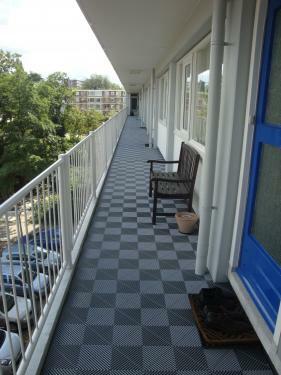 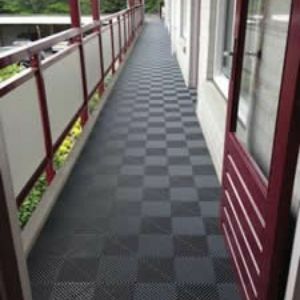 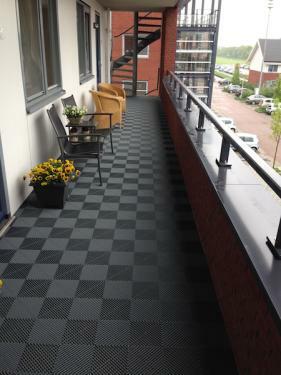 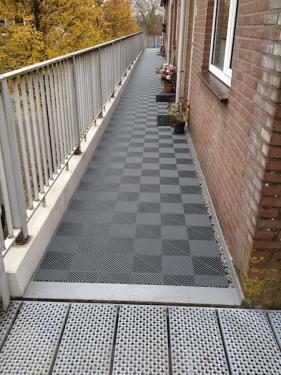 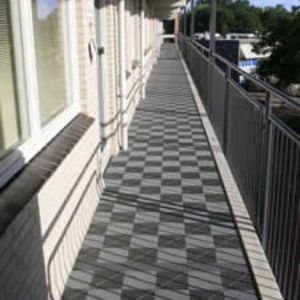 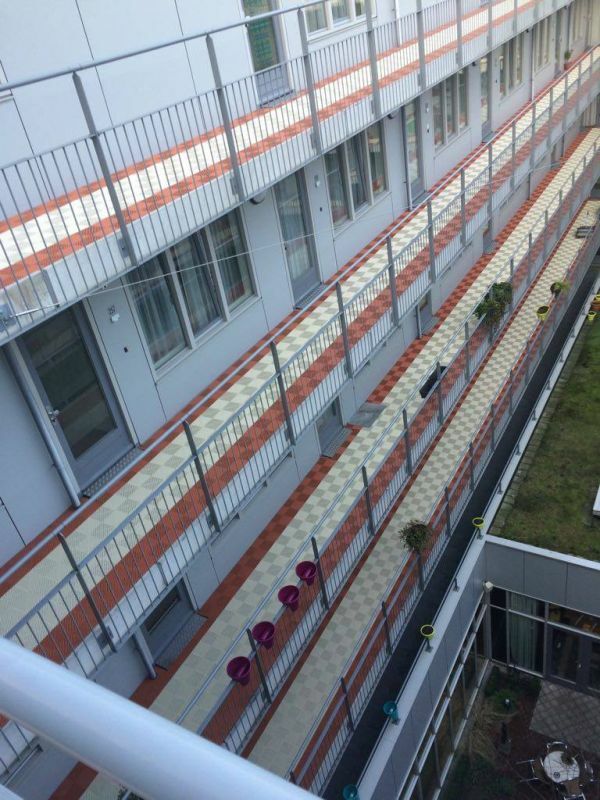 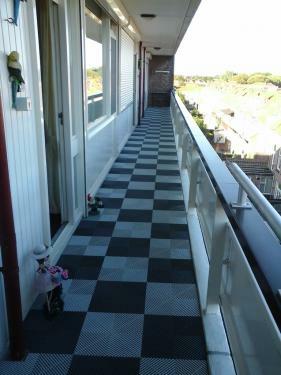 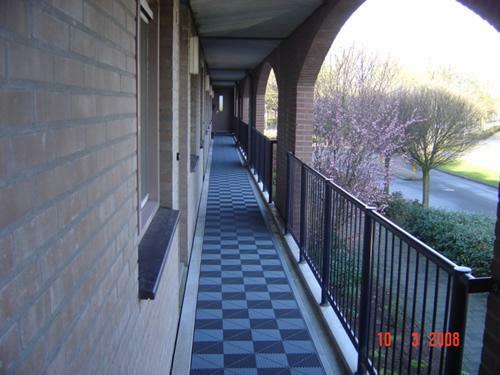 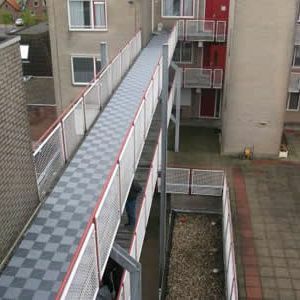 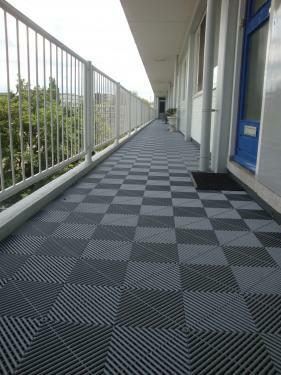 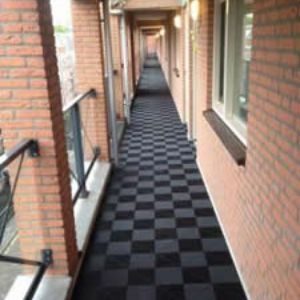 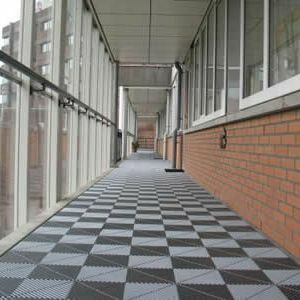 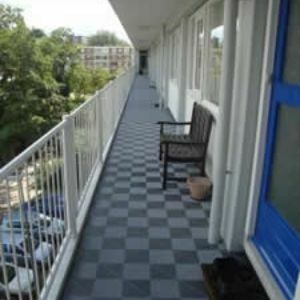 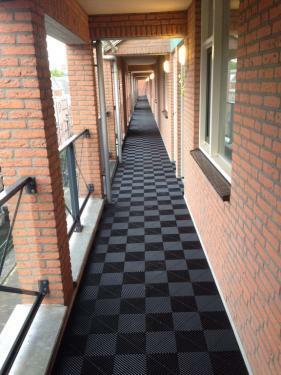 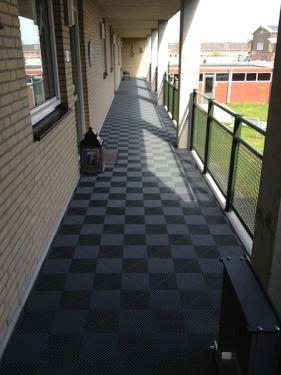 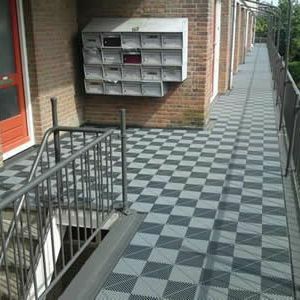 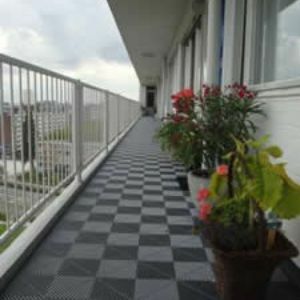 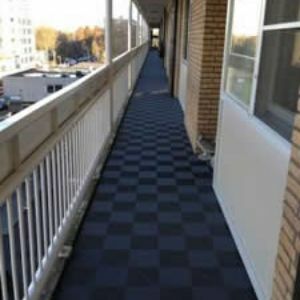 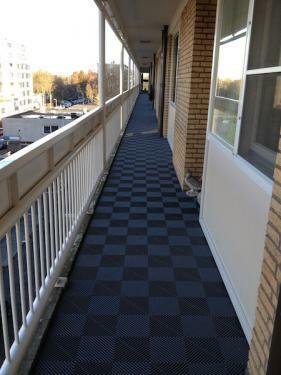 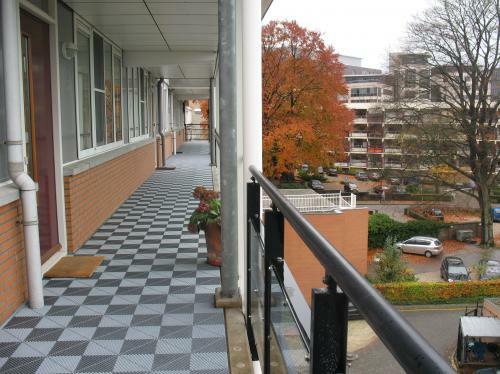 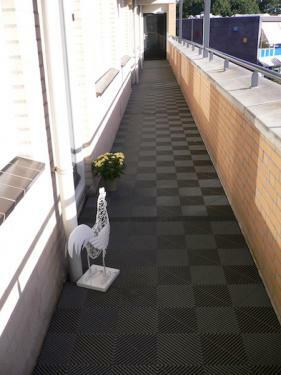 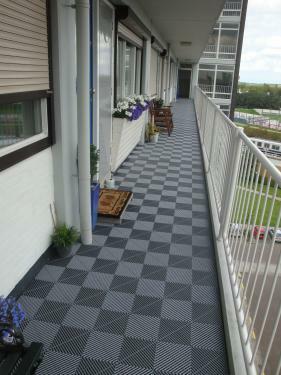 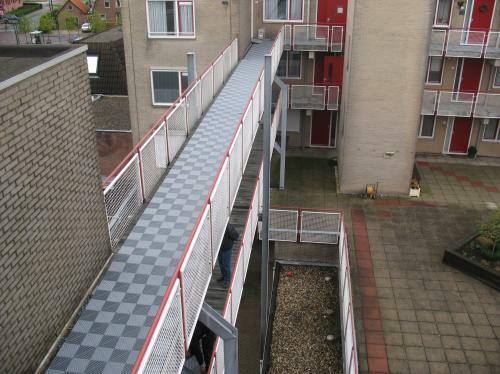 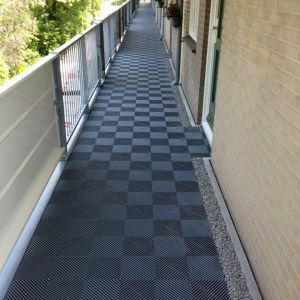 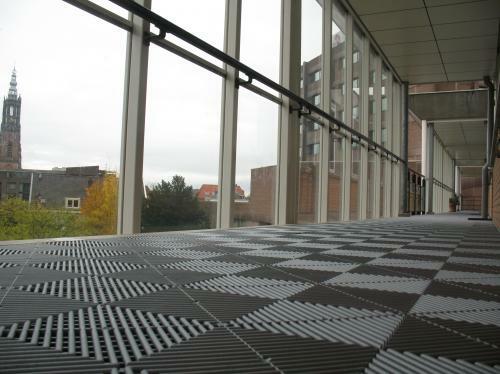 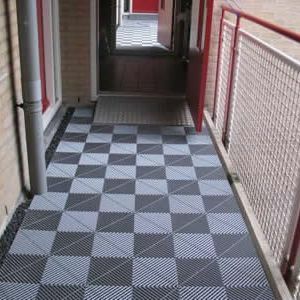 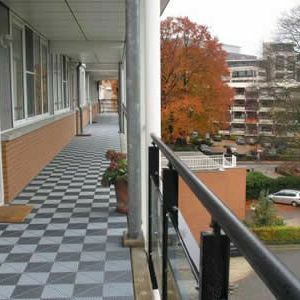 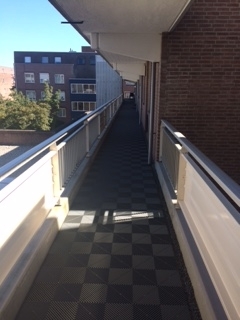 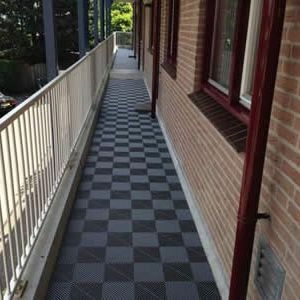 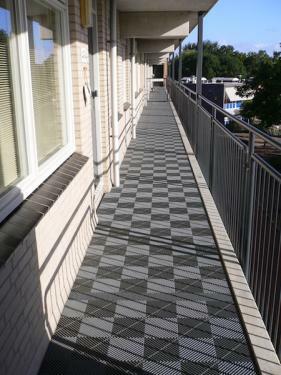 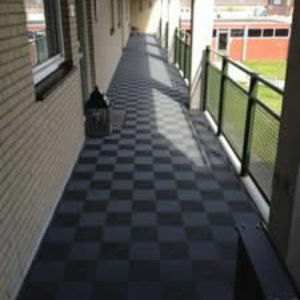 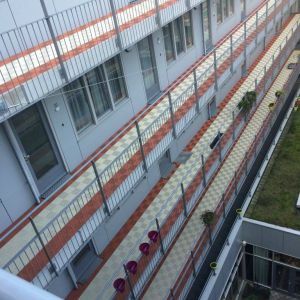 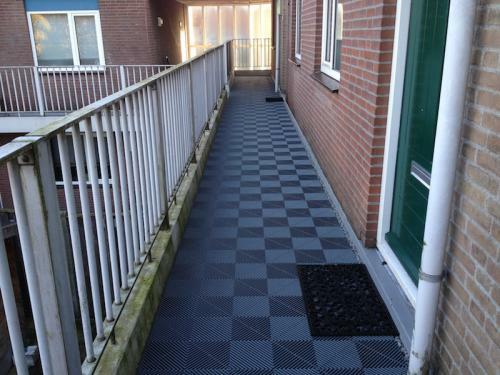 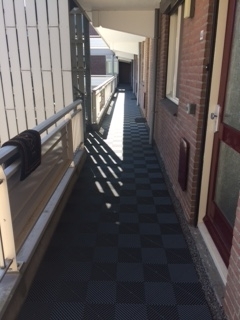 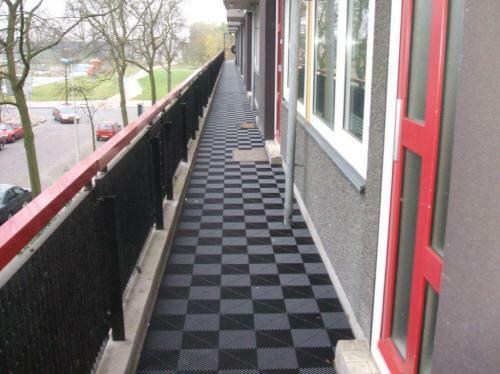 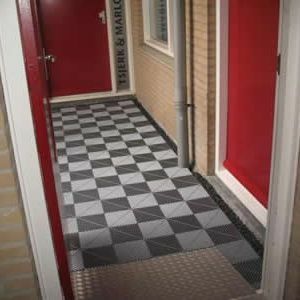 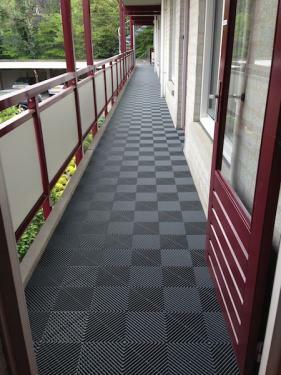 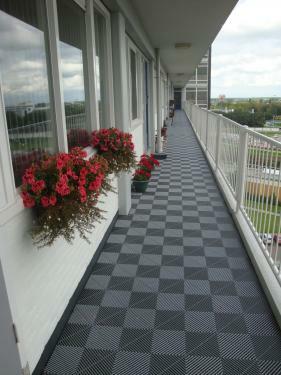 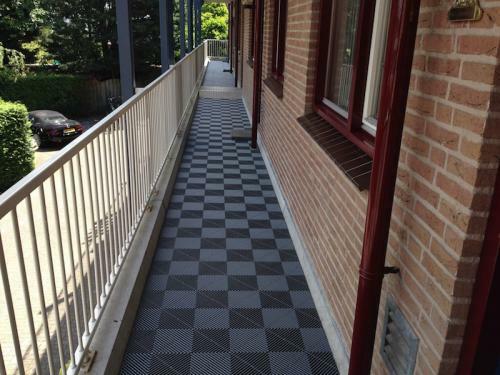 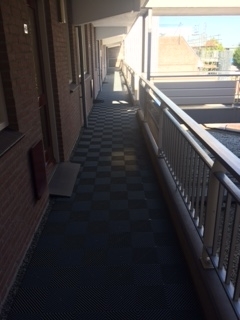 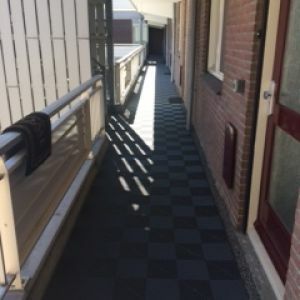 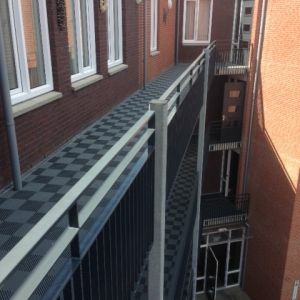 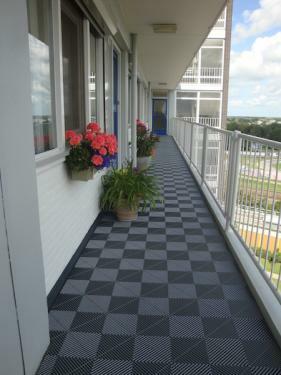 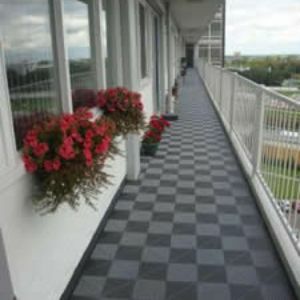 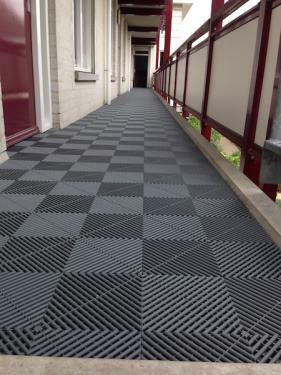 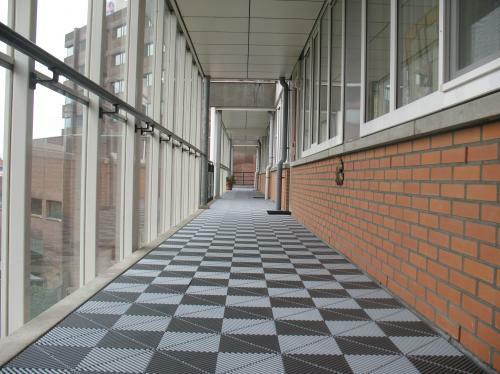 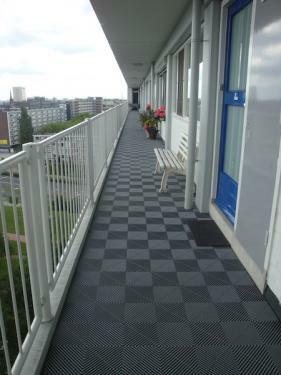 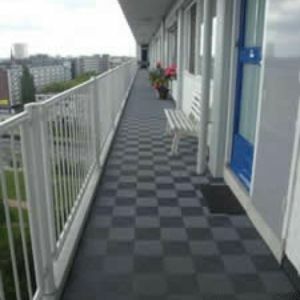 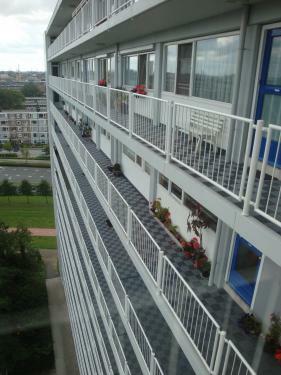 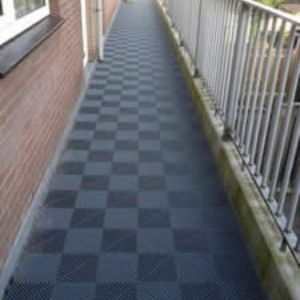 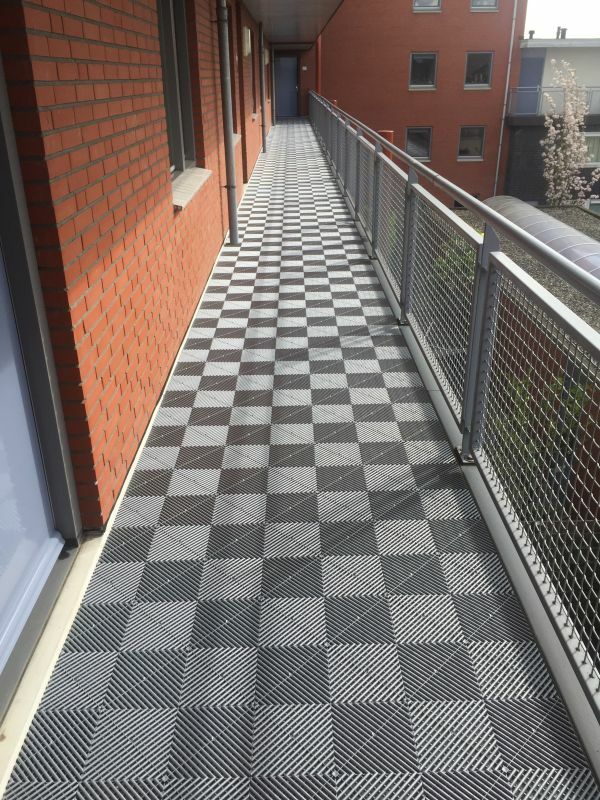 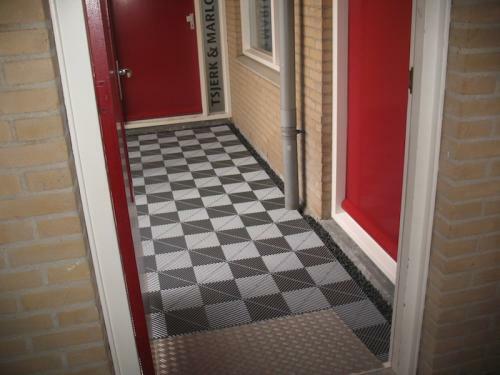 RibDeck® tiles are perfect for galleries, corridors in apartment buildings. 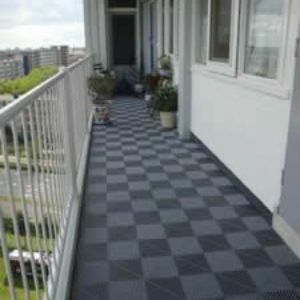 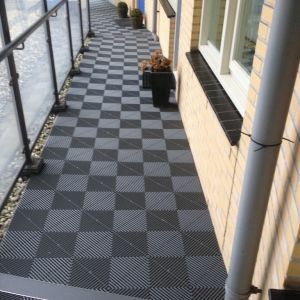 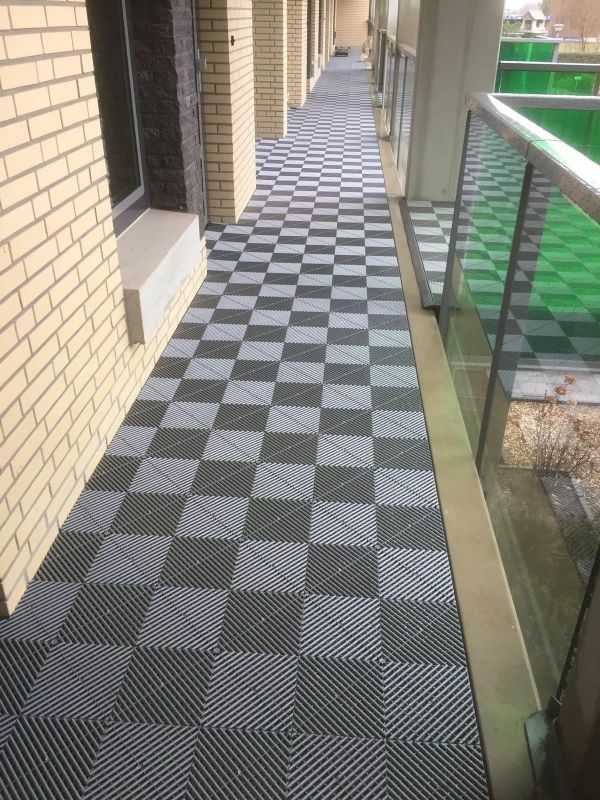 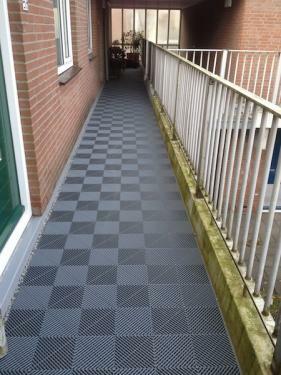 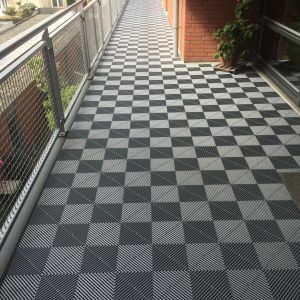 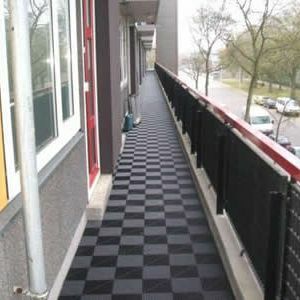 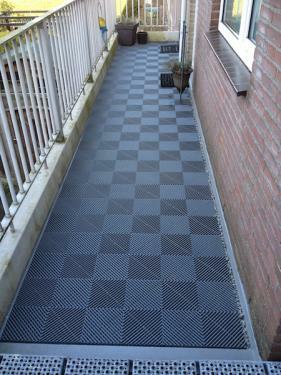 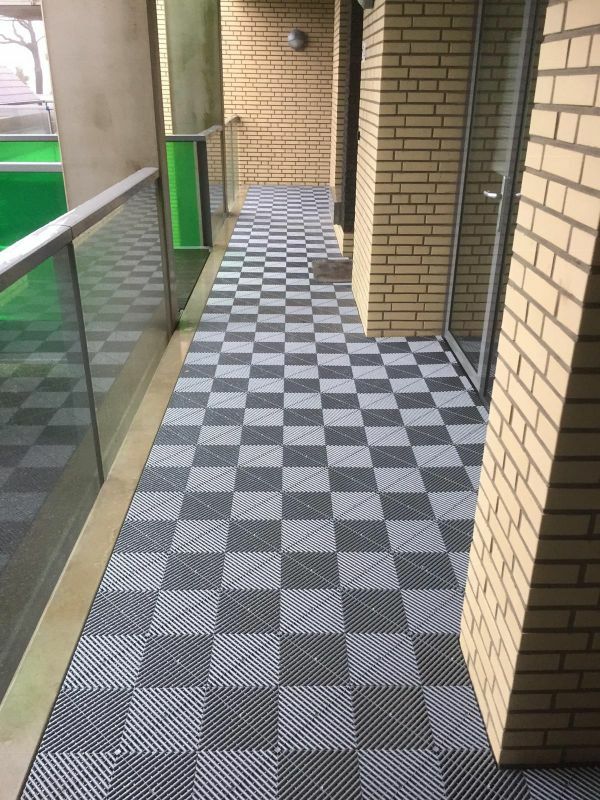 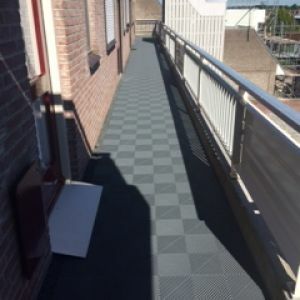 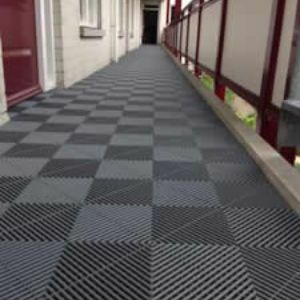 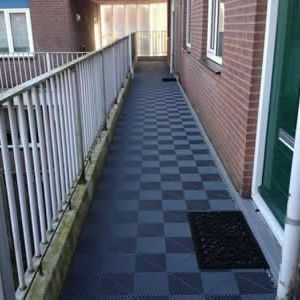 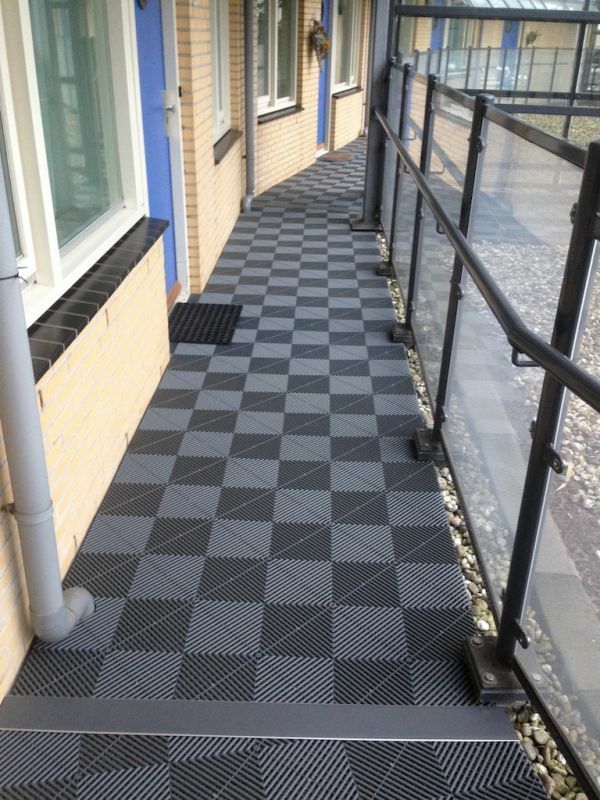 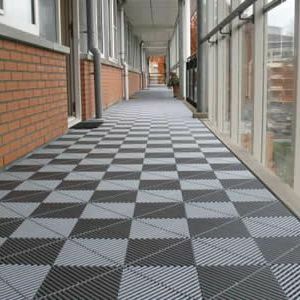 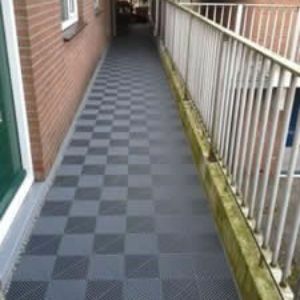 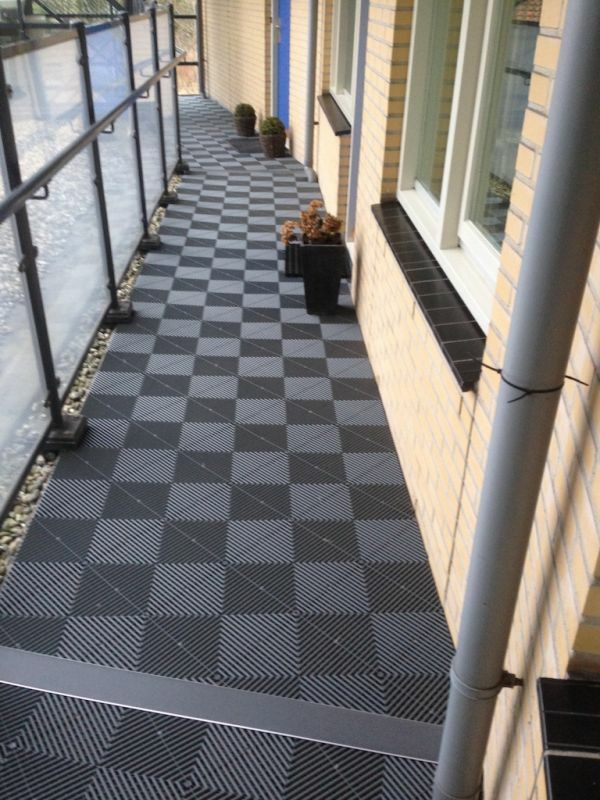 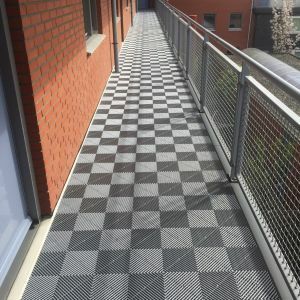 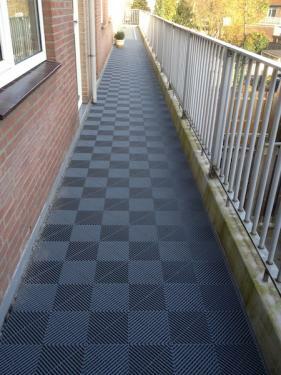 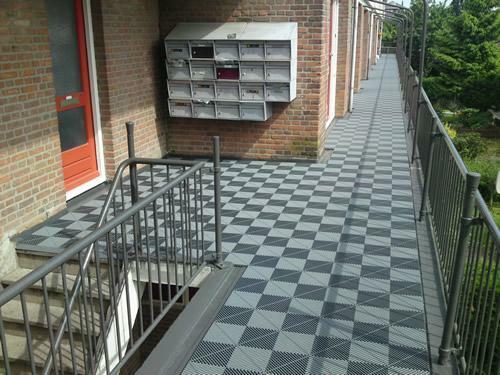 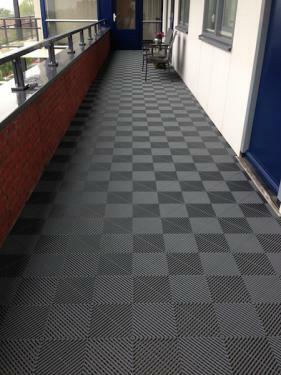 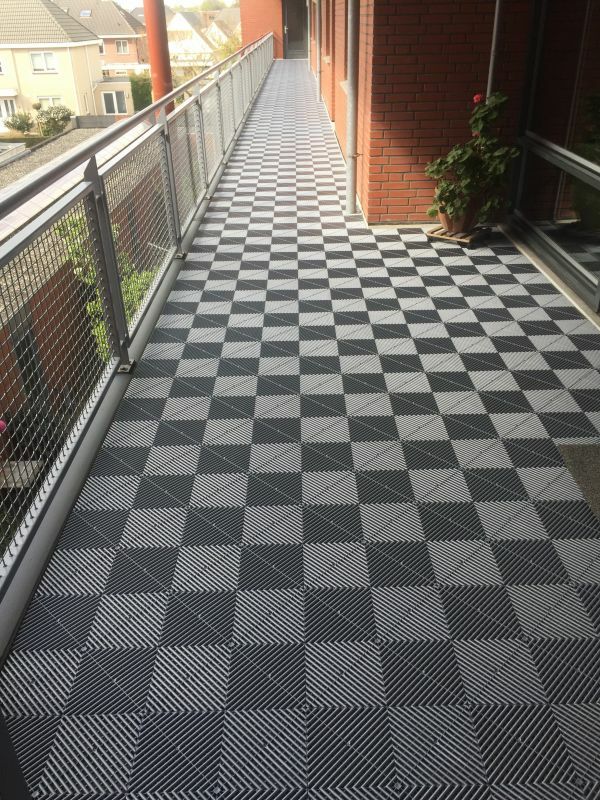 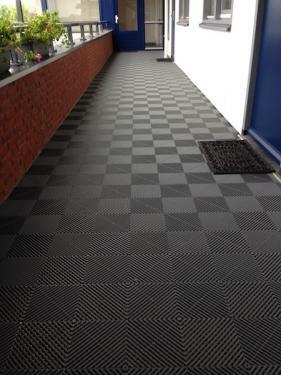 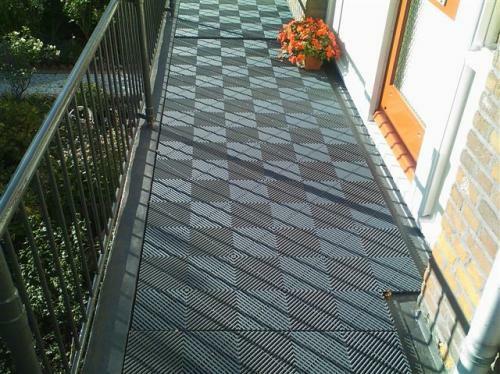 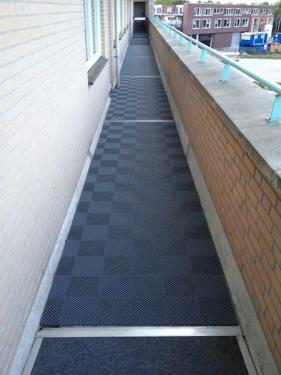 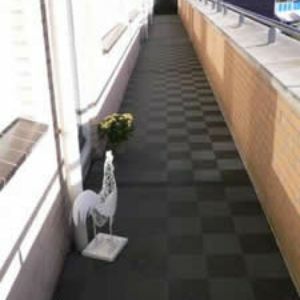 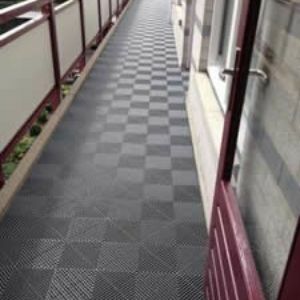 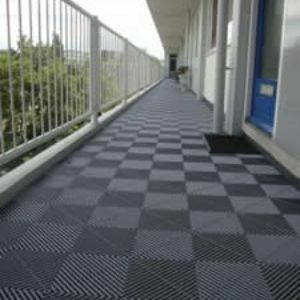 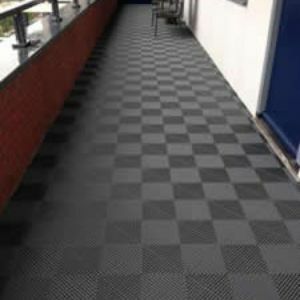 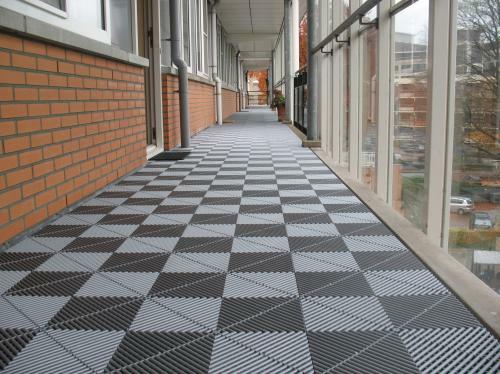 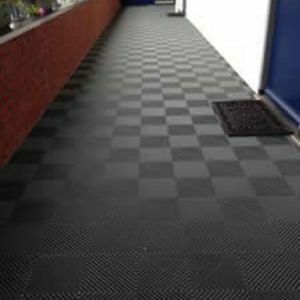 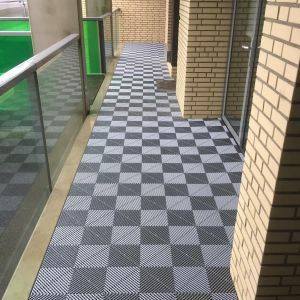 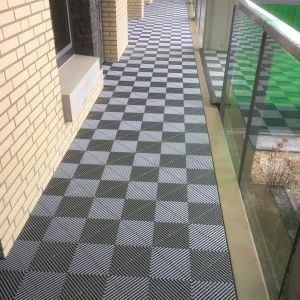 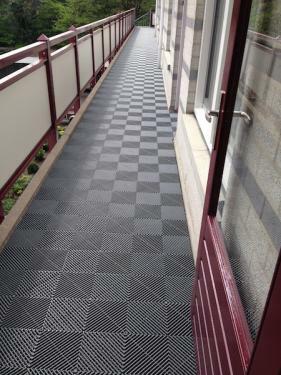 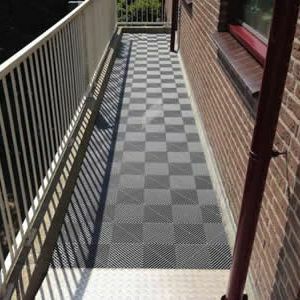 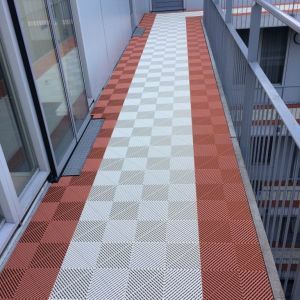 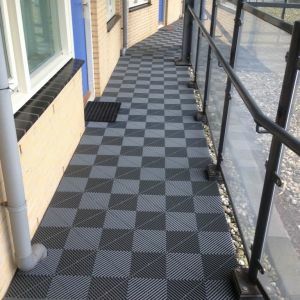 It is possible to lay down the tiles on every hard surface and these tiles are UV stabilized. 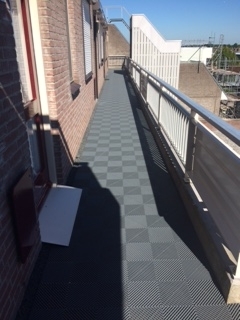 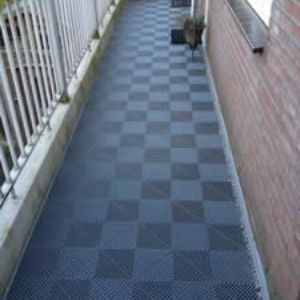 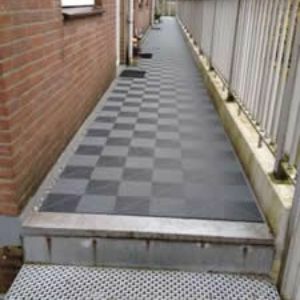 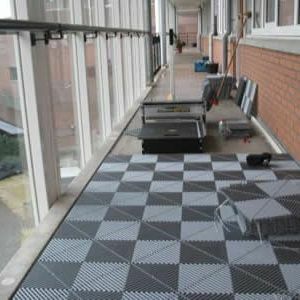 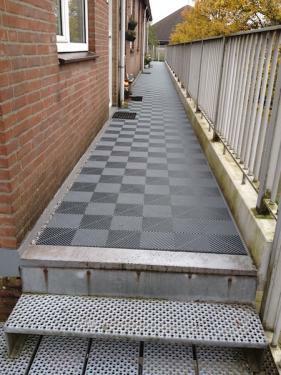 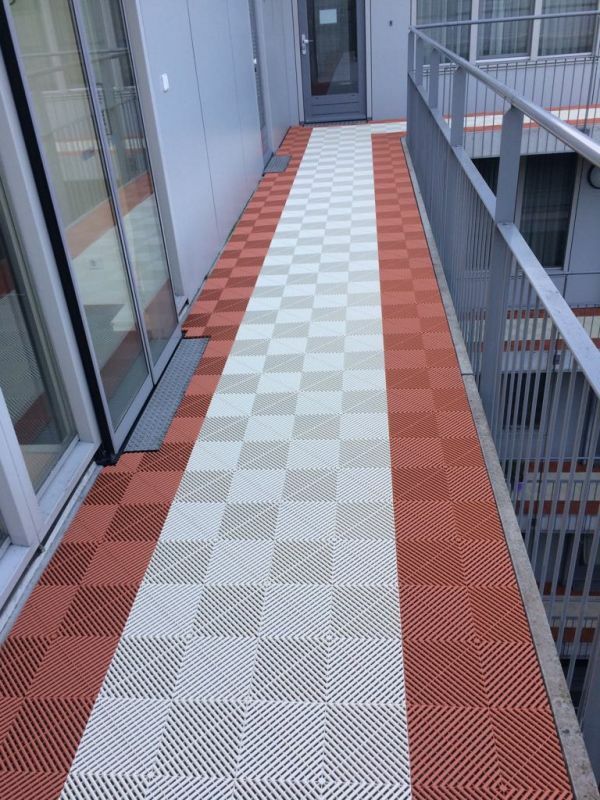 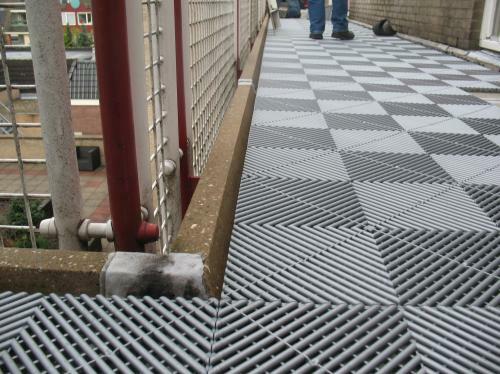 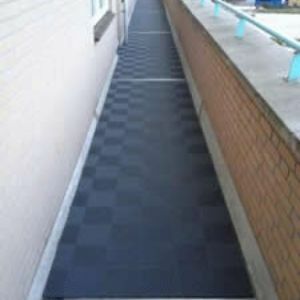 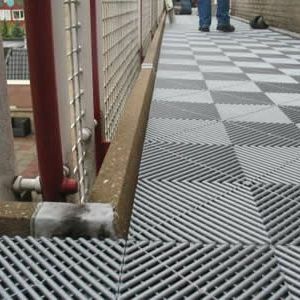 The top layer is non-slip what will mean that these tiles are very safe in wet environments. 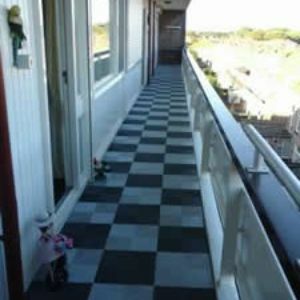 Flush with water is enough to clean the floor. 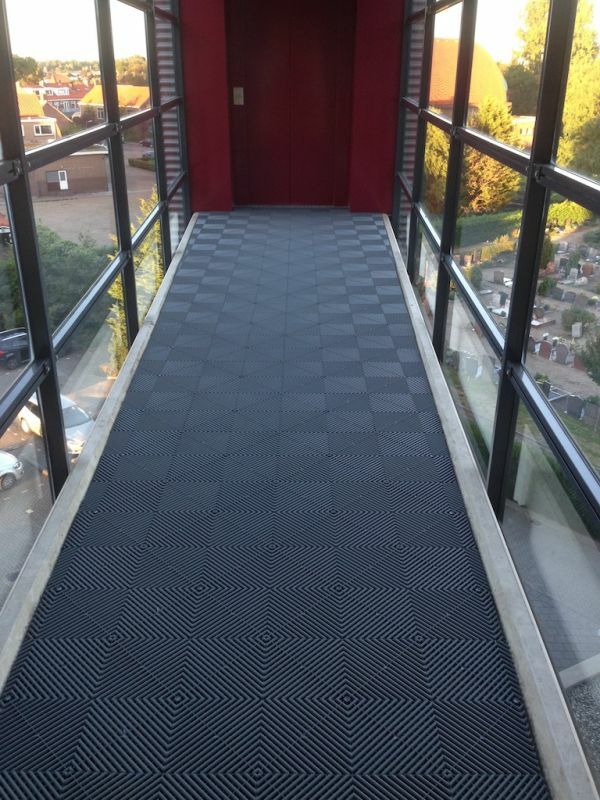 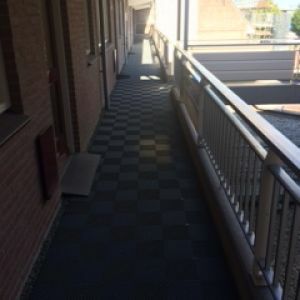 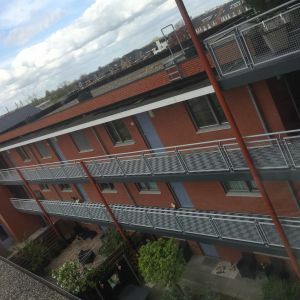 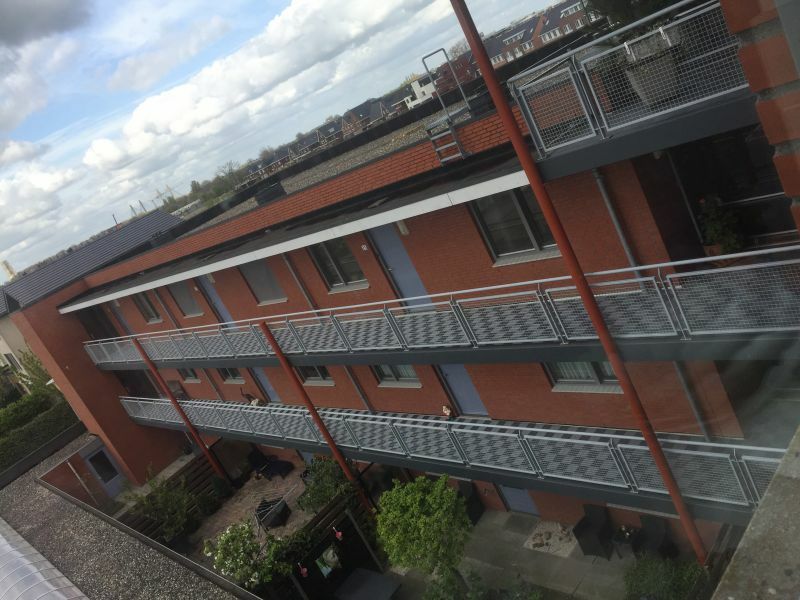 Specially for galleries or corridors where is a high fire classification needed, SwissDeck have made a material to get a very high fire rate with a weight of approx 5Kg /M². 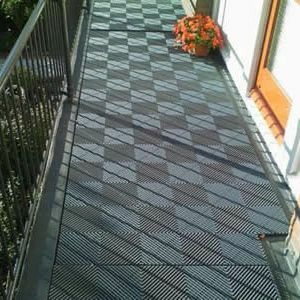 All SwissDeck tiles are non-slip, high resist of impact, UV stabilized and 100% recyclable.